Fresh new look. Same legendary broadcast team. 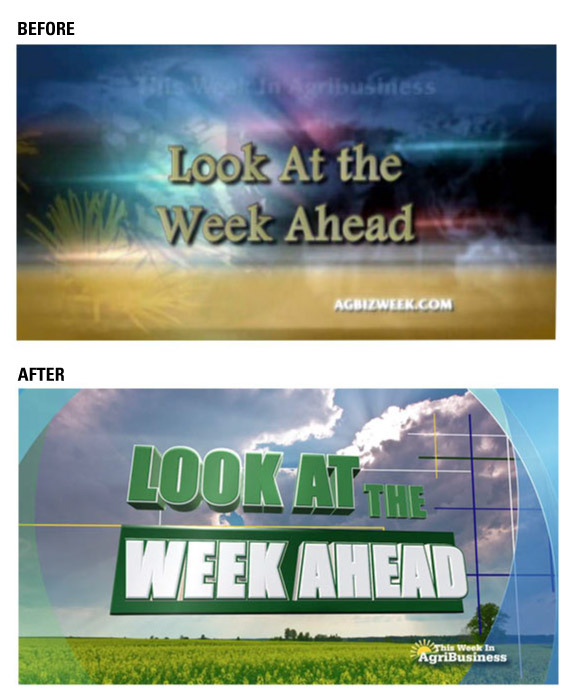 “This Week in AgriBusiness” rolls out rebranded graphics for marketing their agricultural television program. For more than nine years, agricultural broadcasters Orion Samuelson and Max Armstrong have reported the nation’s top agricultural news and markets on “This Week in AgriBusiness,” with the assistance of agricultural meteorologist Greg Soulje. This year, the show was ready for a new look. “This Week in AgriBusiness” tapped Martinez Creative Group for the rebranding project, with the goal of updating the look and feel of the show while creating a more consistent branded image for viewers. We provided “This Week in AgriBusiness” with a bright, energetic custom soundtrack, fitting for a morning business news program. We worked with the “This Week in AgriBusiness” team to select images for the show opener that reflect the modern face of agriculture. We chose to show technology on an iPad and in the tractor cab, as well as the newest and biggest tractors to project how high-tech modern farming is. We opted to show harvest, which producers often consider the most enjoyable time of the year as they reap the rewards of their hard work. 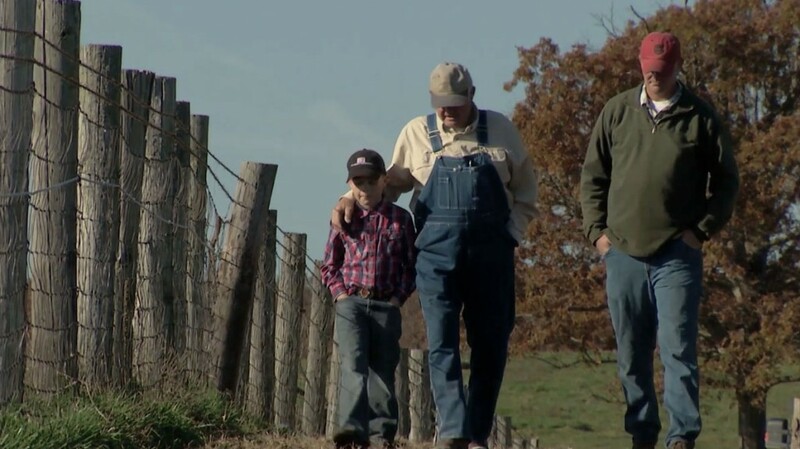 But while it was important to use images of cutting-edge technology, we all agreed on the closing shot: a grandfather, father, and son – three generations of farmers walking on their farm. One of the things that makes production agriculture so special is that multiple family members often work alongside each other day in and day out, passing along the family farm to the next generation. The previous logo for “This Week in AgriBusiness” featured an outdated font and a busy sun and field graphic, which was hard to reproduce across multiple platforms. The new version has simplified, easier-to-read text with a cheery, bright sun. In addition to the logo redesign, the show features animated arcs in rich hues throughout the program. 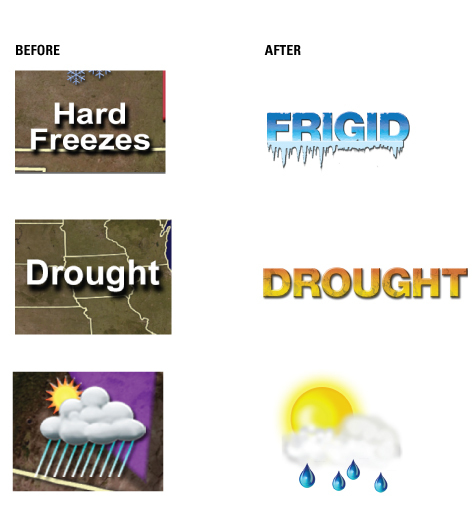 Vibrant time-lapse videos of weather, skies, and farm settings are also used in the show segment introductions. The on-screen weather maps and icons were also updated with a new look and feel. The new graphics are visually rich with more realistic styling and combine brighter colors and fonts with a slight 3D effect for added visual interest. A chilly looking “COOLER” and a scorching “HOT” immediately inform the viewer of the weather conditions across the country. We updated the lower thirds with more animation and the same rich blue and white color palette as the rest of the show segments. 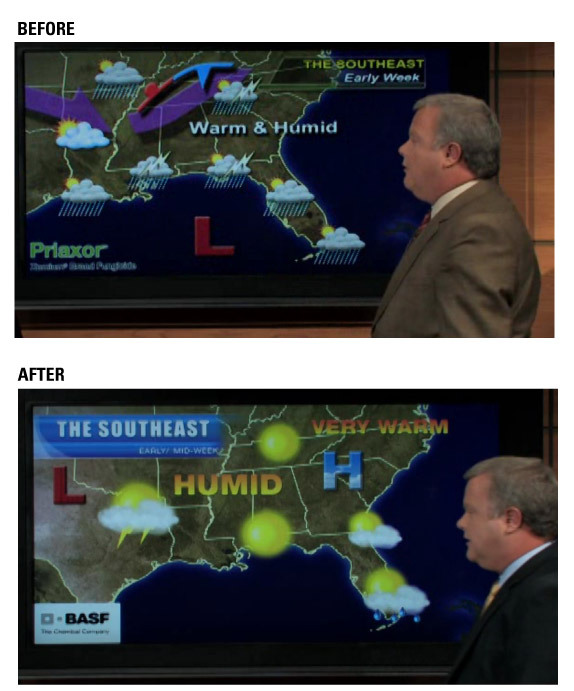 The lower thirds also have more visual interest and are easier to read than the previous type treatments. 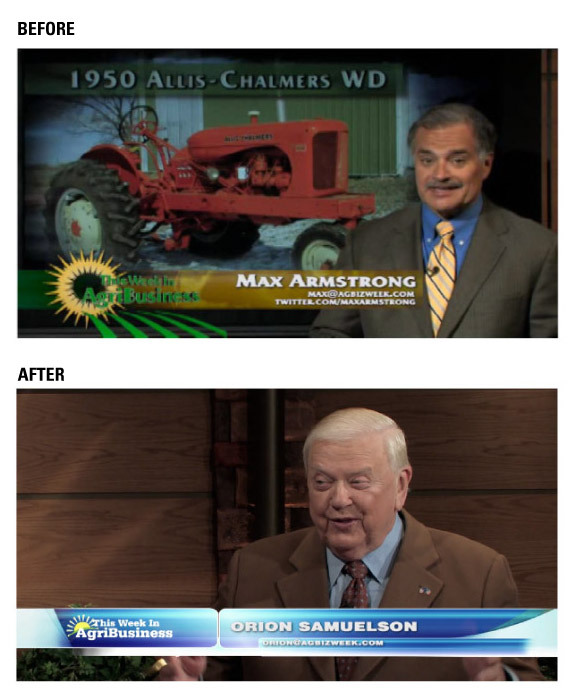 This rebranding package gives a fresh new look to “This Week in AgriBusiness,” but one thing remains the same: Orion, Max, and Greg, the names viewers have long known and trusted for agricultural news, weather, and commentary. “This Week in AgriBusiness” can be seen each weekend on RFD-TV: Saturday at 7 a.m. CDT, Sunday at 5 a.m. and 5 p.m. CDT. The show is also seen each week on dozens of local TV stations as well as on FamilyNet on Mondays at 8 a.m. CDT. For more information, please visit www.agbizweek.com.